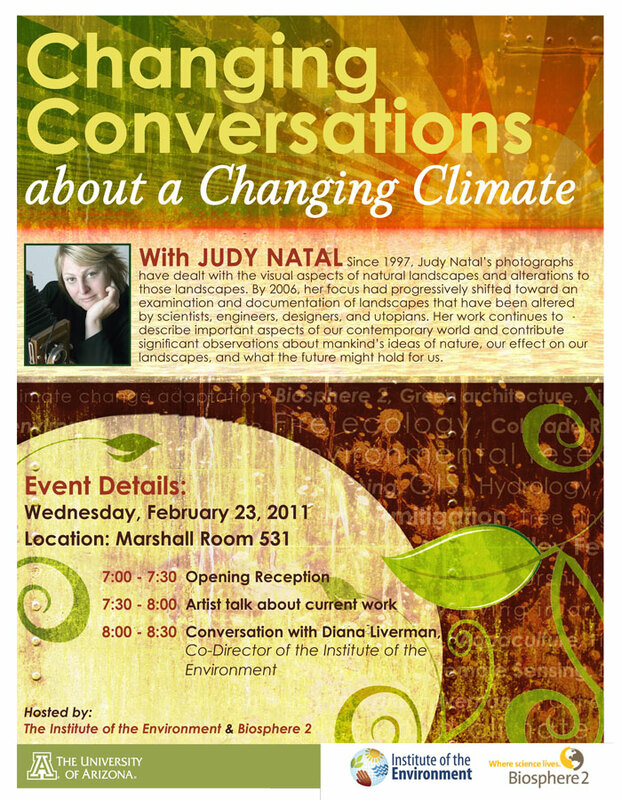 Future Perfect + Changing Conversations about a Changing Climate: Feb 23, 2011. Please join me in conversation with the Institute of the Environment’s Co-Director Diana Liverman on Wednesday, Feb 23, for a 7pm reception, 7:30 debut screening of my new video piece 22 Views of Watching the Glacier Melt and introduction to my photographic book project Future Perfect. This will be followed by a half hour conversation with Diana Liverman, whose career has focused on the human dimensions of global environmental change. Her main research interests include climate impacts, vulnerability and adaptation, and climate policy and mitigation especially in the developing world. – In what ways have you seen (or not seen) conversations changing between art and science as we deal with environmental imperatives? 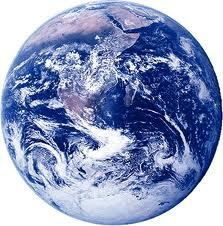 – What do you consider to be the genesis of environment-climate thinking? – What kinds of potential exist for science and art to work together on the challenges of a changing climate? – How does scientific research inform your artistic practice? What examples stand out for you in which an artist’s work has influenced scientific practice? – As a writer, artist, what contribution do you see your work making to advancing our collective thinking about climate change? 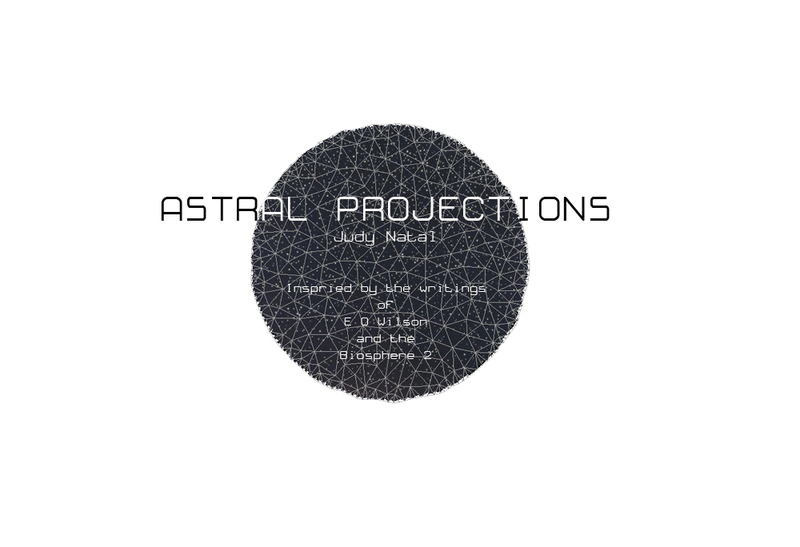 – What are the under-explored ways for articulating/envisioning climate change through art? It should be a very provocative evening. Hope you can join us! So much has happened since my last blog post of September 21st, 2010 that I know I’ll be forgiven for not keeping my blog up to date, much like my website. I would like to bring you up to date and share some of my experiences with you. I have traveled widely, read deeply, listened and observed the natural world in all its beauty, fierceness and glory- rattlesnakes, bobcat + adolescent cubs, rabbit, ring tail, raven, deer, roadrunner, coyote, javelina -to name just a few. I’ve been through tumble weed attacks, hail, blizzard, and heat wave, I’ve looked through telescopes, worked collaboratively with artists and scientists, visited with old friends and colleagues and met many, many new ones. I’ve given keynote addresses and numerous lectures on photography, art and imagining the future, as well as my current photographic book project Future Perfect. I have talked with great students as I crossed the country, from east to west, and then again, north to south. I’ve attended a wide range of lectures and symposia, and readings, most notably the fabulous “How to Publish Your Photography Book” taught by the incomparable team of Darius Himes of Radius Books, and Mary Virginia Swanson, aka Swanee, the irrepressible, marketing force who is single-handedly changing how artists market themselves today. The lectures I have attended range from the mundane to the truly sublime and out of this world series of lectures by the College of Sciences at the University of Arizona in Tucson on the great cosmos, the origins of the universe, and the Big Bang and String Theories. 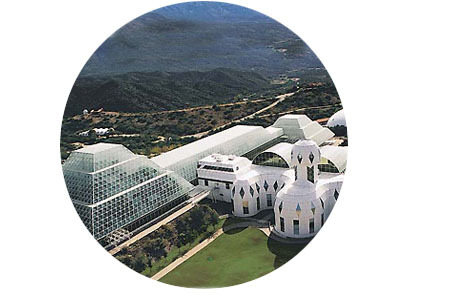 And most importantly, I have had the spectacular opportunity to be in an extended residence at the Biosphere 2 for the past four months. This is a unprecedented length of residency. I think the only people who have been in residence longer were the Biospherians themselves! And I have met literally hundreds of people, from all over the world, at the Open Studio that I have created at the Biosphere 2, while in residence editing, proofing, sequencing and printing Future Perfect for publication. So stay tuned, as I get back to the of art of writing with one more month to go for my residency.